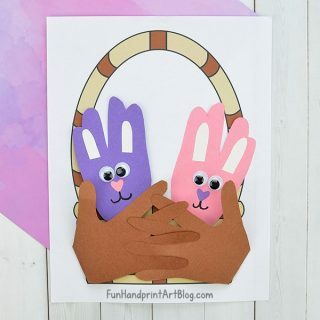 Let’s make a rainbow and shamrocks with our fingerprints! Use an ink pad or paint in all the colors of the rainbow. 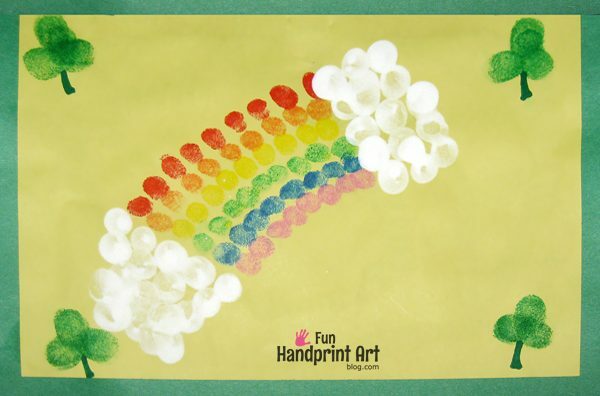 Make clouds at the ends of the rainbow by making white thumbprints. Press the pointer finger in green ink. Make 3 fingerprints with all 3 touching/overlapping each other where the center of the shamrock is. Use a green marker to add a stem. My son loved making the fingerprints so much that he continued making a rainbow-inspired fingerprint collage afterwards. 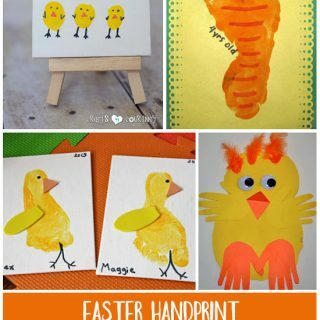 See all our St Patrick’s Day kids crafts here!